Unabridged Bookstore (3251 N Broadway Street), one of the city’s top independent bookstores, opened its doors for business on November 1, 1980 as a general bookstore with a large gay and lesbian section. 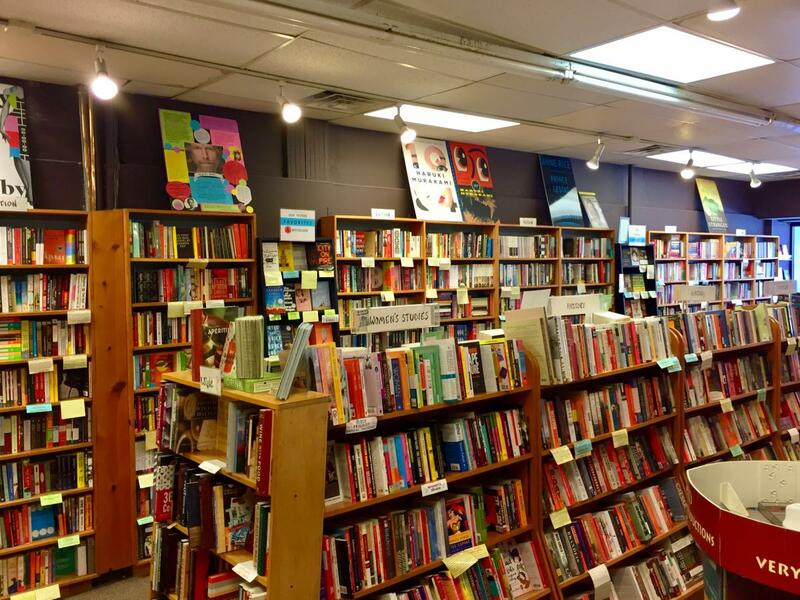 In the years since, the shop has expanded to the storefronts on either side and is now over 5,000 square feet of glorious bibliophile paradise. When asked about changes in the industry since 1980, Devereux cites the advent of discounting, the rise and fall of superstores like Borders, the rise of Amazon, online book selling, and e-books. However, Devereux is quick to add that at Unabridged the process of book selling is much like it was in 1980. “Of course, we make use of computers and social media, but we mainly convey our enthusiasm for books we have read and liked by using shelf talkers throughout the store.” Indeed, Unabridged is well known for their “little yellow shelf signs” which have been a signature means of selling favorite titles of the Unabridged staff for almost 37 years. Manager Khosropour had a few recommendations for an LGBTQ patron seeking suggestions for where to have a cocktail or two. Khosropour mentions the downtown bar The Second Story (157 East Ohio Street #2), the legendary Uptown establishment Big Chicks (5024 North Sheridan Road) which he cites as a great place for dancing and socializing, and Roger’s Park Social (6920 North Glenwood Avenue) which he says is always a great place to unwind with a cocktail.